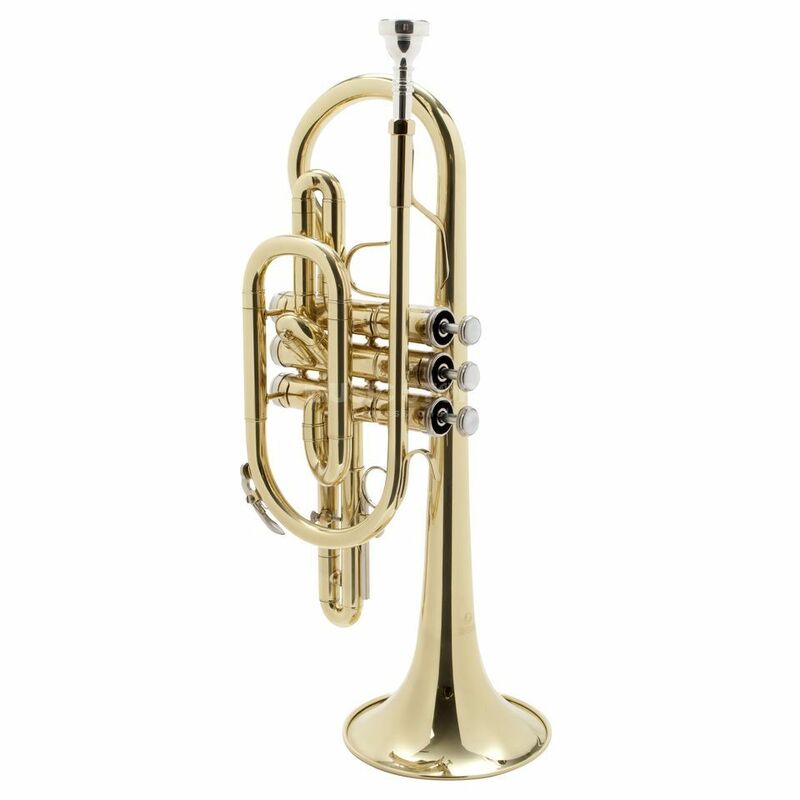 The Monzani MZCR-900L Bb-Cornet does not only convince with a fair price/performance ratio. That's why this is the perfect instrument for beginner. Furthermore the easy attack point helps and supports the player over the whole tone range. Another characteristic of the MZCR-900L is the warm and rich sound. The player has the possibility of a maximal sound projection. The valves are easy going and comfortable to play. Included are a case and a mouthpiece.